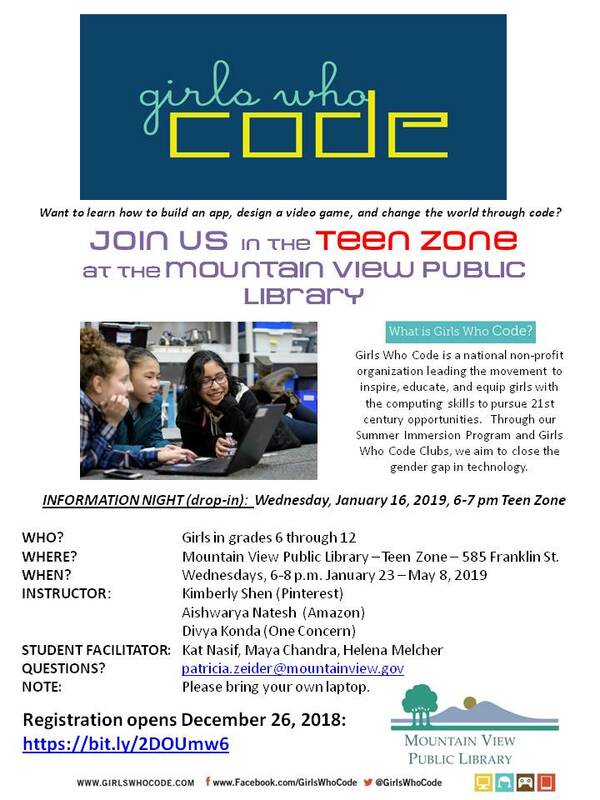 Come find out about the new Girls Who Code Club semester! For girls in grades 6-12, ask questions and sign up. The club will meet Wednesdays 6:00-8:00 pm in the Teen Zone during the school year.